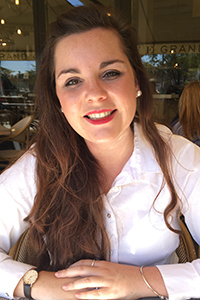 Suzaan Rossouw is an Environmental Legal Consultant at GCS (Pty) Ltd and is based in Johannesburg. She has a Law Degree and her Masters in Environmental Law and Governance with a focus on climate change and sustainability in Africa. She has experience in the South African environmental law and development sphere. Suzaan has an in-depth understanding of the International Environmental Law sphere and the legal complexities that surround compliance with legislative requirements in Africa and abroad. Her experience and abilities include conducting legal research, legal compliance and drafting legal opinions for some of South Africa’s biggest mining giants and industry leaders, which among others include; Northam Platinum, Exxaro Coal Central and African Rainbow Minerals. Suzaan has accomplished her goals by paying attention to the people around her, thus learning through her interactions with others, this combined with her extensive legal and project management skills (communication, understanding, perseverance, creativity and logic) gives her a competitive edge in any environment. She’s an avid learner and knowledge seeker, driven and has a passion for learning about new things, concepts, ideas, philosophies, problem solving and she’s not afraid of change. She is also registered with the Environmental Law Association (ELA) of South Africa and is an admitted Advocate of the High Court of South Africa. Suzaan was elected to serve on the BYM Board in 2016 and acts as the Board Secretary and Driver for the Projects: Thought –Leadership sub-committee. Within this scope, she will aspire to drive thought leadership campaigns on gender equality, diversity and sustainability.